Thank you for ramming it down! 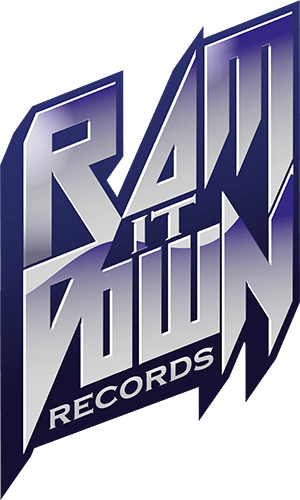 with joy and a bit of pride as well, we today announce the launch of RAM IT DOWN RECORDS – a new record label dedicated to hard rock, heavy metal, power metal and progressive! Building a label from literally nothing is not an easy task these days – especially when you try to keep high-quality standards. So we’re humble and thankful for the trust and support that’s been given to us in advance – for example from our distribution partner Soulfood Music, one of Europe's leading independent distribution companies, who will distribute the RAM IT DOWN products through their network worldwide from now on. Believe Digital is our partner for all digital aspects of our releases. A big "thank you" goes out to the first two bands who signed with us: TORIAN and DYSTOPOLIS. Starting RAM IT DOWN RECORDS with such quality releases feels awesome and is a kickoff we couldn't have imagined any better. On top of that, we are proud to announce that our very first release to hit the stores will be a special one: NORTHWARD is the new hard rock project of Nightwish vocalist Floor Jansen and Pagan's Mind guitarist Jorn Viggo Lofstad. Their amazing self-titled debut album will be released on October 19th via Nuclear Blast (CD, digital). RAM IT DOWN RECORDS will bring you "Northward" late October/early November on Vinyl format (four different versions available) - under licence from Nuclear Blast GmbH. We are ready - feel free to join us on the ride. Time to ram it down!